This afternoon, I had the privilege of celebrating a friend’s book release. As it turns out, this friend is my high school English teacher and mentor, Mr. Lund. I’ve mentioned him before on the blog. He’s the kind of teacher who earned the respect of all of his students, who genuinely enjoyed teaching, and who inspired all of us dumb high school kids to love Shakespeare and Dante and Homer and Chaucer. I plan on conducting an interview with him that I’ll publish sometime in early August, but I just wanted to share his book with you now. 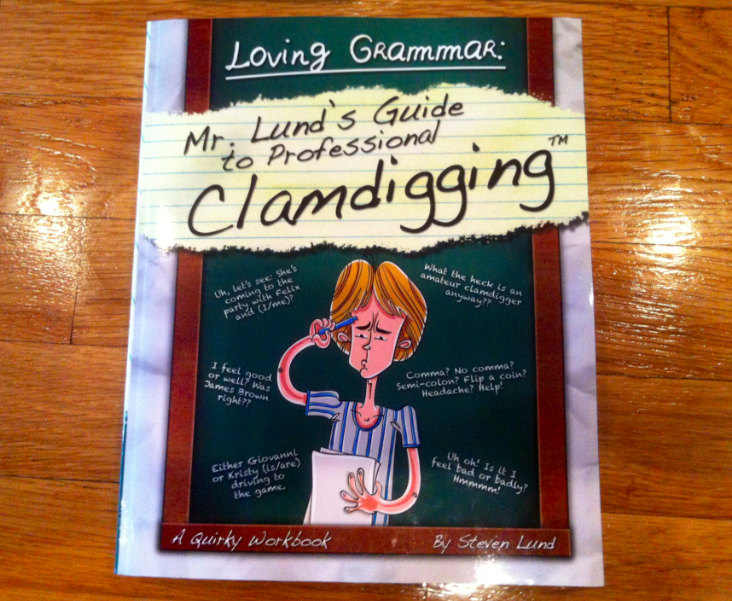 It’s called Loving Grammar: Mr. Lund’s Guide to Professional Clamdigging. This is a great book for those who are learning English, for writers who struggle with grammar, or for high school students! And it’s funny. In other news, I am still hard at work on the third Cemetery Tours book (which I am so, so, SO excited about) and the new series. I can’t wait to share more about them! I went to the library this afternoon and checked out a lot of books for research. I might be a nerd, because I really love researching things that I’m interested in and that will help me write a book. It’s all so cool and fascinating! Hope everyone has a pleasant and wonderful day!